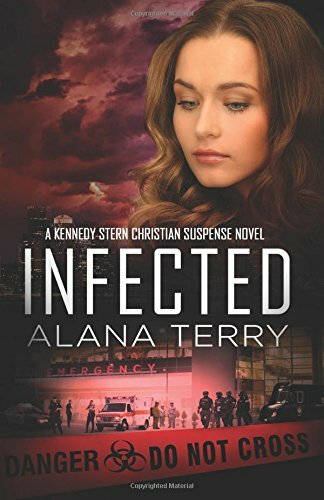 Infected by Alana Terry is a Christian thriller which I really enjoyed. 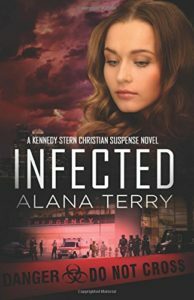 It is the sixth book in the Kennedy Stern series but can be read as a stand-alone. I have read all the books in the series so far and it was great to catch up with familiar faces. I was completely engrossed in the action with its twists and turns. The ending caught me completely by surprise. God is at the centre. There are old and new Christians. The new ones question all the time – both eager to grow and wondering why being a Christian does not guarantee a smooth ride through life. The prosperity gospel was discussed and dismissed. Our faith has nothing to do with the size of our wallet and everything to do with the state of our heart.